I've been crushing on gold a lot lately! Since we're moving soon, I definitely want to incorporate some gold accents in the new place... it instantly adds interest (and glamour!) to any room. Seriously, how gorg is that table... and that flatware?! Are you loving gold as much as I am? Loving all this gold right now!! There is some gold flat ware I've been crushing over at West Elm...I may have to get it! just found your blog! 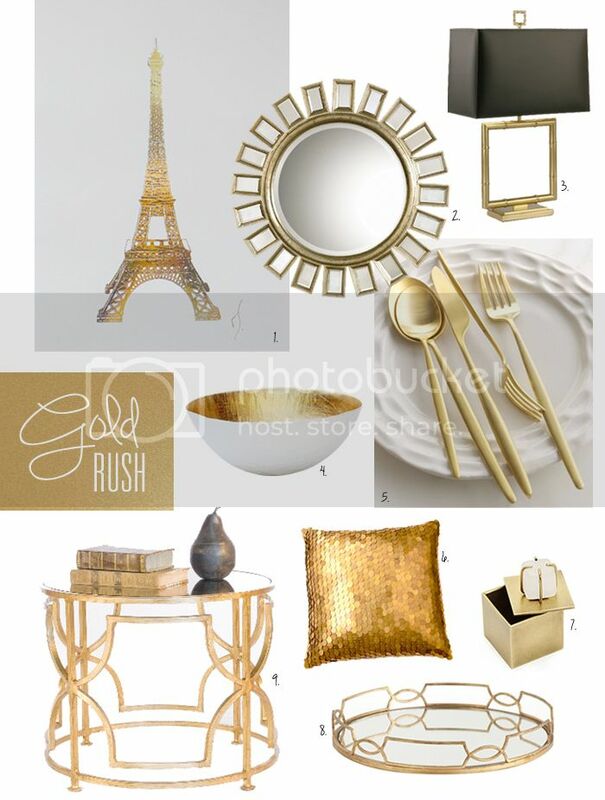 I love all the gold, esp that side table and tray!! I certainly am loving it just as much as you! I wish I had an unlimited budget to buy some of these pieces. I've always rather liked gold. That Eiffel Tower sure has me swooning. It's lovely! awesome round-up! Gold was one of my wedding colors a few weeks ago actually (let's hope I don't look back and regret it when gold is out because I love it now!) haha. That bowl is amazing! 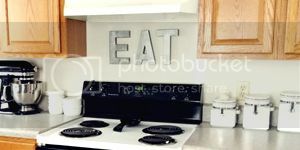 Love the mirror, side table and tray! GORGEOUS! Umm I would take one of everything! Esp the flatware... so gorg! i looooooooooove all of the gold! it's so perfect!!! great post and great finds! That throw pillow is so gorgeous! oh my gosh so in love Jessica!!! That table is an absolute dream! And that paris print, I want I want! gahhh i know!! i want all of this. now! !